After a flurry of leaks, South Korean tech giant Samsung has finally announced its flagship chipset and the SoC that will take the reins from Exynos 7420, Exynos 8890. It is not surprising that the company decided to announce the chipset shortly after the announcement of Snapdragon 820 so let us take a look at all the crucial details of this ‘system on a chip’. 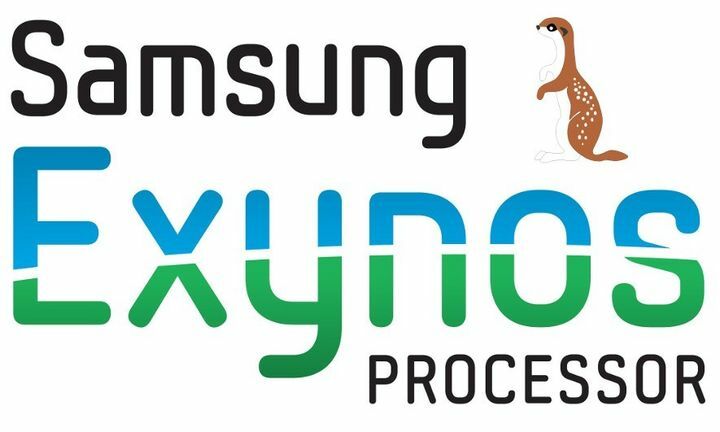 According to Samsung’s press release, Exynos 8890 is processed on the 14nm FinFET LPP technology, which is the same kind of technology that Snapdragon 820 has been processed under. There are more than a few differences separating this chipset and Exynos 7420, which one major highlight being that the newly announce SoC is an integrated one-chip solution that features the company’s first custom designed CPU based on the 64-bit ARM 8 architecture. Additionally, the latest LTE Category 12/13 modem will be present inside and will deliver unprecedented download and upload speeds for the smartphone user. 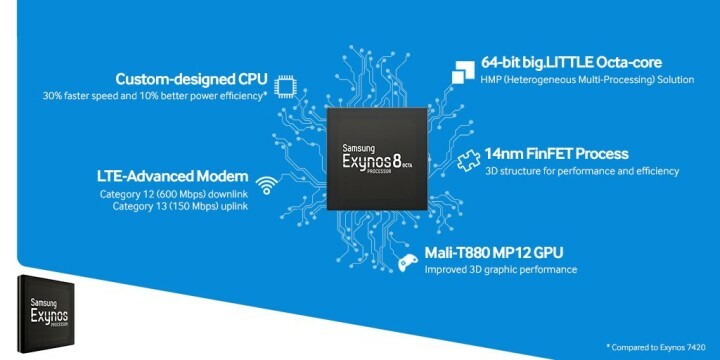 The improved engineering will allow Exynos 8890 to exhibit 30 percent greater performance compared to Exynos 7420, along with 10 percent better power efficiency against the latter. 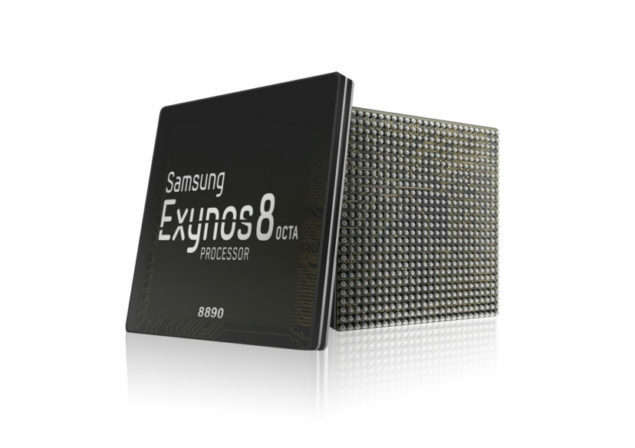 This chip also supports enhanced heterogeneous multi-processing for efficient usage of the eight cores. 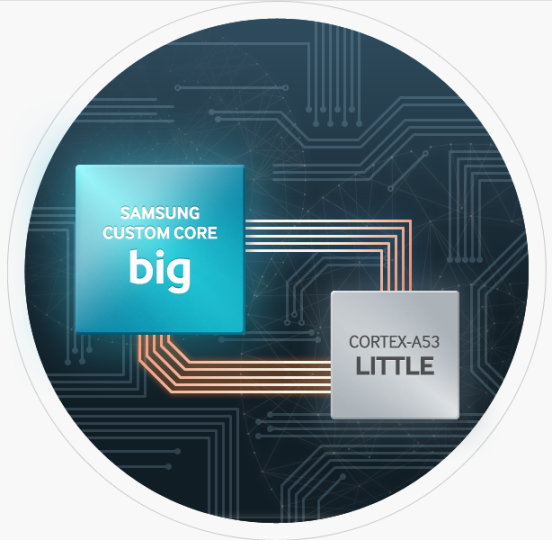 In case you were wondering, four of its cores are custom developed while the remaining four belong to ARM Cortex-A53. Now coming to the part where you can see it in smartphones; the company plans on commencing mass production in late 2015. Galaxy S7 is going to be very first handset to sport the powerful chipset so we cannot wait to see what kind of new performance records are broken by the upcoming handset. In addition, we also believe that Samsung will partner up with other smartphone manufacturers and give them the technology that will allow them to supercharge their mobile devices as well. Meizu PRO 5 is already running an Exynos 7420 so this is probably not the last time we have seen the OEM run one of Samsung’s chips. What do you think of Exynos 8890? Impressed are you not? Let us know your thoughts.